This is Harley, my beast. 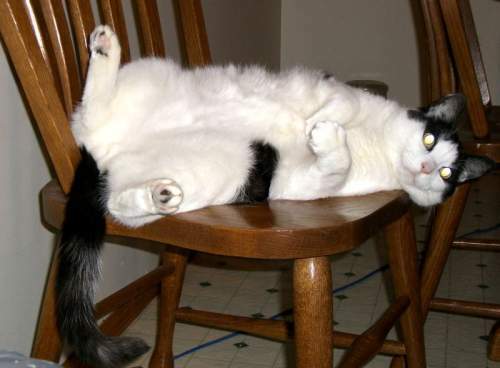 Just wanted to send you some pictures of the infamous Chi-chi and Woody in hopes of being considered for some cat blogging. (He got that name from a broken tail that now sticks straight up). 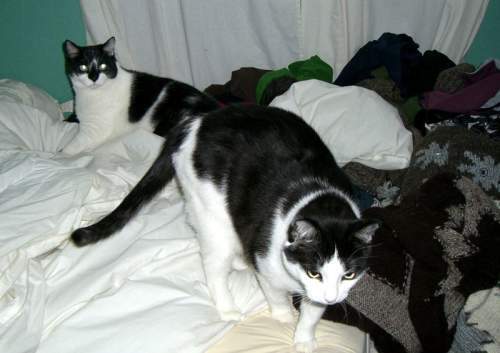 They are two very entertaining house cats. 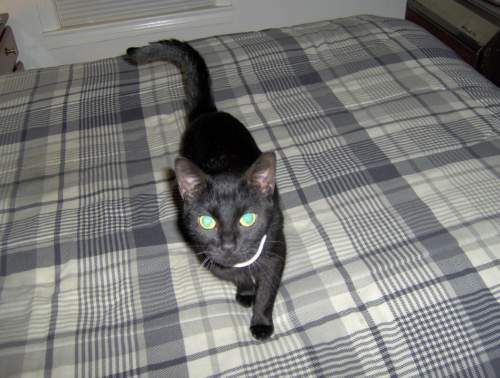 Chi-chi is overly loving and affectionate (and loves to play with my moccasin – flipping it up in the air and pouncing on it), while Wood is extremely paranoid and slightly obese. (He will swat and hiss at strangers) but we still love him to death. 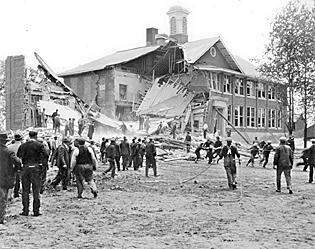 The Bath School disaster is the name given to three bombings in Bath Township, Michigan, USA, on May 18, 1927, which killed 45 people and injured 58. Most of the victims were children in second to sixth grades attending the Bath Consolidated School. Their deaths constitute the deadliest act of mass murder in a school in U.S. history. The perpetrator was school board member Andrew Kehoe, who was upset by a property tax that had been levied to fund the construction of the school building. He blamed the additional tax for financial hardships which led to foreclosure proceedings against his farm. These events apparently provoked Kehoe to plan his attack. The Bath School Disaster page.